Chicagoans is a first-person account from off the beaten track, as told to Anne Ford. This week's Chicagoan is contest entrant Cynthia Kendall, 50. 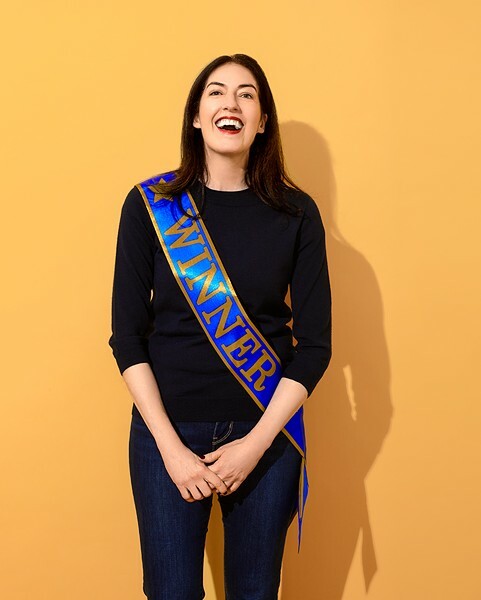 "It's a bit like exercise: I enjoy it, but sometimes I'd rather skip it, but I do it anyway," Kendall says of the 50 to 100 sweepstakes she enters daily. I remember really getting into it around 2010. I went to an event at the zoo, and they had a raffle to win this huge cake that had fondant monkeys all over it. I won the cake that night, and my kids were still little; they were so excited. I looked online and found a ton of websites for people who enter contests, and the people on there said, "I win a few big prizes a year," or "Every couple of years, I might win a car or a vacation." So I started to get into the habit. I get up before the kids and spend half an hour or an hour each morning. I created a separate Gmail account for contesting and a separate Facebook account for contesting, and I just go to these contest sites and put in my information. I enter between 50 and 100 a day. But it's autofill, so it's just hitting my e-mail address and saying "send." None of them costs money to enter. I have them categorized by day, by what's new, by the ones you can enter every day until they expire. It's a bit like exercise: I enjoy it, but sometimes I'd rather skip it, but I do it anyway. My biggest win was the DIY Network Kitchen and Bath contest in 2012, and that was $100,000. They called me on my cell phone. I remember asking lots of questions, because I thought it was suspicious. They said, "In two days you're going to get a FedEx package, and it's going to have paperwork for you to fill out." So when the FedEx came, I was like, "This is real, this is real!" They sent me an actual check for $100,000 in the mail. I put most of the money in the bank, and it has been helping me cover all sorts of things for the past couple of years. Right around that time my kids and I had planned a trip to Universal Studios in Florida. For the first time ever I was like, "Yeah! We can get something from the gift shop!" Not like I am usually, like, "How much is it?" I was like, "Yeah, let's get the deluxe wand at Harry Potter World! We can get sweatshirts, that's fine!" A few months after that, I won a contest to go to New York. There was this great party I got to go to where there were five finalists, and they put our names into this bowl with car keys, and the person whose key turned the ignition in a vintage BMW would win the car. I did not win the car. In retrospect, that was kind of good, because you had to take ownership of the car that night, and it was a stick shift. I'm not superstitious, but I think that luck breeds luck. When you're feeling good and you've got a lot of positive energy, it keeps going. But if you're in a slump, that can create a negative energy. I have not had a winning streak for a while, but I think it's coming. Even when you're not winning the big stuff, there's lots of little things that come in the mail all the time. Two days ago, I got coupons for Skittles and Snickers as a prize. Lots of $25 gift cards for Target, $100 for Hasbro Toys, $50 for Groupon. When people find out I do this, most of them are just like, "Oh, I've never won anything." And I just want to say, "Well, how many things have you entered?"